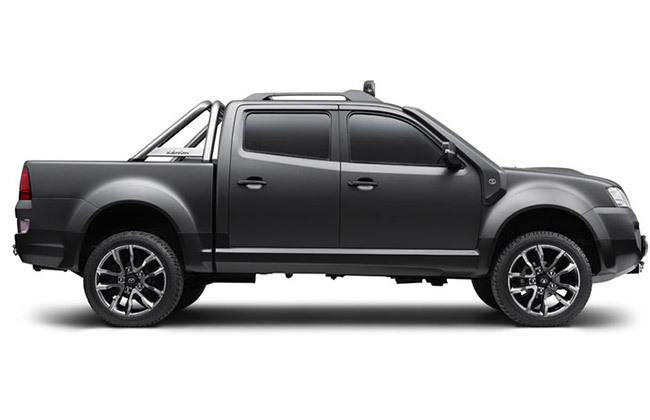 Tata Xenon truck concept called "Tuff" is unveiled here for Australia. It is a concept level car following the success of pixel and megapixel. Nevertheless, we aren’t so fortunate either. 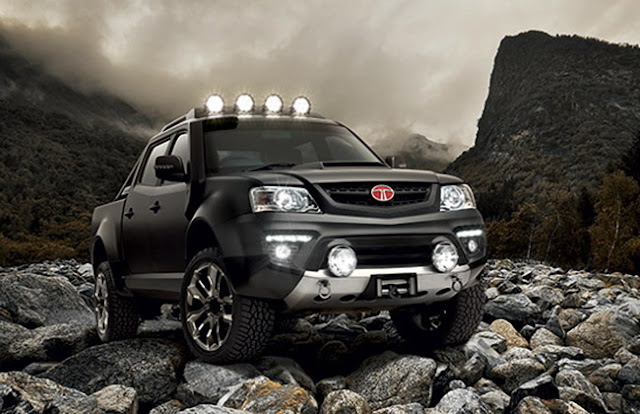 The Xenon Tuff Truck is a Concept, and hence it won’t enter production. It was showcased at the National 4X4 and Outdoors Show and Fishing and Boating Expo in Melbourne in Australia. 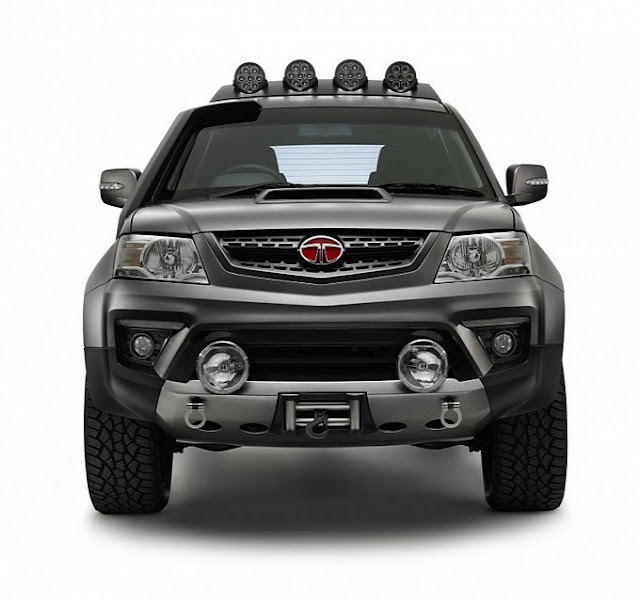 The beefy look with wider off-road tyre enhance the look. 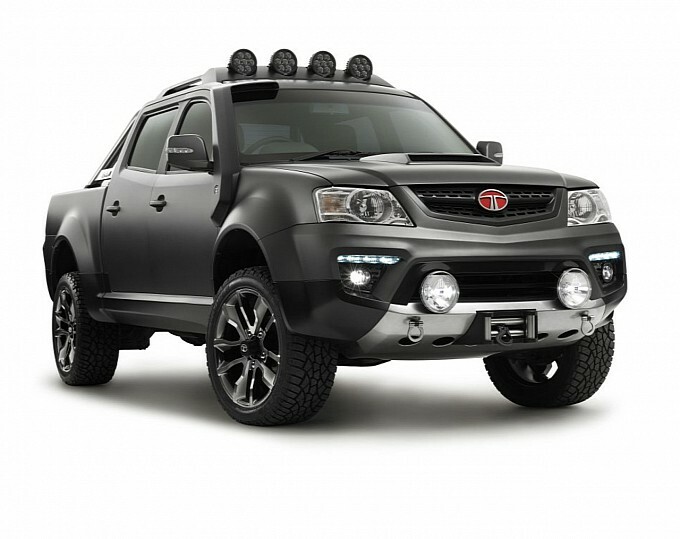 This concept is equipped with intake snorkal on hood and on roof it has Narva LED xenon off-road lights. The stingrey colour adds its apeal and Tata has named it ' Arden'. The design job was carried out right under the nose of Julian Quincey, chief designer of Walkinshaw Automotive. He felt that the concept was a good choice for undergoing production. However, he also added that the decision will depend upon the market demand. Tata Motors, the company which has been suffering in this market should reply to the question - "Why don't bring this concept to Life when existing cars are not selling"